***Full Color Hardcover Edition! 39 Unique Color Photographs Inside. *** Corey Jenkins has crafted a set of stories that will have you crying, laughing and begging for more. Told with folksy humor & down home charm, "Lines, Tines & Southern Pines" is a treat for all who enjoy the outdoors with friends & family. Its written by a fun-loving prankster, a real man, with wit & style. it will delight readers to the last word. Henry David Thoreau wrote that a lot of men fish all their lives without ever realizing that fish isn't really what they're after. That, in one sentence encapsulates the theme of Lines, Tines & Southern Pines. The author skillfully articulates what is truly derived from growing up in the outdoors and the mysteries in the woods and beckoning waters of lakes, streams and ponds. Corey Jenkins was born and raised in Hartselle, a small town in North Alabama. After graduating from Hartselle High School, he left home and earned his B.S. in Computer Science from the University of Alabama at Birmingham. He completed this degree as quickly as possible, graduating in just over three years. Realizing that he had been in a hurry to graduate for no apparent reason, Corey then attended Cumberland School of Law and earned his Juris Doctorate. Continuing his quest to be an eternal student, he then moved to Gainesville, Florida to earn his LL.M. in taxation from the law school at the University of Florida. Upon finishing his formal education, he moved back to North Alabama to practice corporate and tax law. 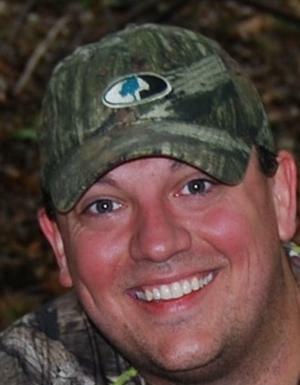 His decision to move home was based largely on his overwhelming desire to return to the woods and waters where he grew up hunting and fishing. He introduced his wife Lauren to the outdoors of his youth, and they now spend time hunting, fishing, and enjoying the outdoors with their two daughters. (5) receiving the "Dad of the Year" award from his daughters for several consecutive years. While Corey's extensive bucket list has evolved over time, writing a book has been a mainstay on the list ... until now.